While there have been many speculations about who will claim the 'Iron Throne' by the end of the final season, Priyanka Chopra shared an intriguing image of her to-be sister-in-law Sophie Turner, who plays Sansa Stark in the Game Of Thrones series, on her Instagram. After a long wait of spoilers and fan theories, the eighth season of HBO's fantasy series Game Of Thrones has finally began streaming its first episode on Hotstar. While there have been many speculations about who will claim the 'Iron Throne' by the end of the final season, Priyanka Chopra shared an intriguing image of her to-be sister-in-law Sophie Turner, who plays Sansa Stark in the GOT series, on her Instagram. Sharing the image in which Sophie Turner aka Sansa Stark can be seen sitting on the 'Iron Throne' in her mesmerising avatar, Priyanka sent her best wishes to the actress with a caption that reads, "Good luck Sophie Turner you are a boss babe. And are very loved.. J-sister 'Game Of Thrones' tonight." As the final season of Game Of Thrones premiered internationally on April 14, the first episode of the season saw Jon Snow and Daenerys Targaryen arrive at the Winterfell along with the army of the Dothraki. 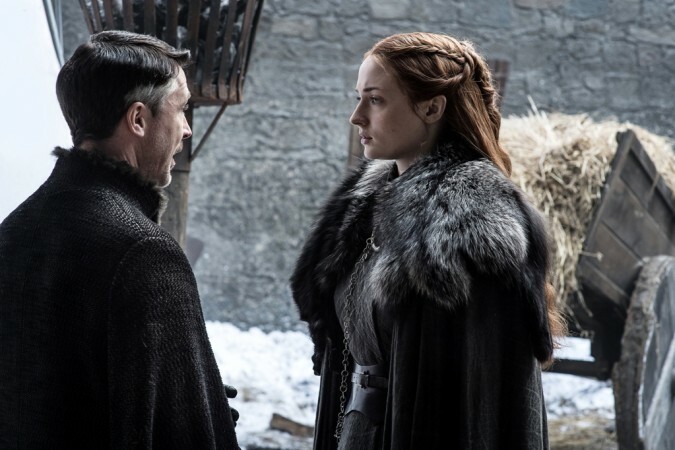 It saw Sansa Stark reuniting with Tyrion Lannister after they parted ways in the series when Joffrey Baratheon was poisoned to death prompting Sansa to flee from the King's Landing.